“There is no possible way this retrospective study could have accounted for key issues, such as genetic factors, history of prior pregnancy issues, [or] drug or alcohol use in the parents, all of which have a large influence on birth weights and the duration of pregnancy,” Ross said. So there’s that. But let’s take a look at the study itself and see what we can find in there. Fact #1: Premature birth rate recorded in the areas closest to where wells exist is below the national premature birth rate. In this study, the researchers claim that women living in the fourth quartile (the area closest to gas wells) were far more likely to give birth prematurely than women in the first quartile, who were farther away. But as the chart below demonstrates, the percentage of babies born prematurely in the quartile closest to the wells is at or below the national rate at 11 percent. The researchers’ claim that merely living closer to wells increases premature birth risk doesn’t really square with the data in each of the respective quartiles, either. As the chart shows, preterm births in each quartile did not differ substantially — going from 10 percent in the first and second quartiles, to 12 percent in the third and then declining again to 11 percent in the fourth, which, again, is closest to the gas wells. 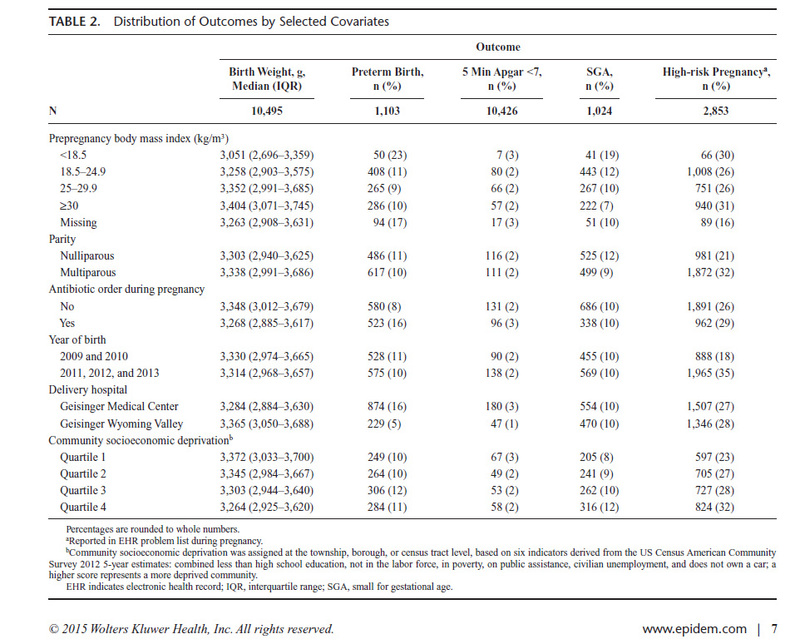 If you were honestly trying to determine whether oil and gas development had any connection to preterm births, you’d probably want to take a look at some of the data that was collected prior to any oil and gas development taking place, right? You’d want to see what the rates of preterm births were prior to any wells being sunk. You’d want to take a look at disease and hospitalization rates – and lots of other environmental factors that could have an impact on the questions being studied. RIGHT? “Due to strong collinearity between the unconventional natural gas development exposure metric and calendar year, we also excluded births before 2009 when little such activity had taken place in the study region” (page 2, emphasis added). In other words, the researchers had all sorts of data available on preterm births before significant oil and gas development came to the study area, prior to 2009, but decided it wasn’t relevant. Even though it’s obviously relevant. Yet the study goes on to speculate that “expectant mothers could also be exposed to water pollution from unconventional natural gas development” (page 2). Anyone who has had a complicated or high risk pregnancy knows that there are a multitude of factors that could contribute to the situation. EID’s own co-founder, a native of northeast Pa. himself, was born two months premature – and even though there wasn’t a single oil or gas well to be found in the area back then, one imagines his condition would have been blamed on fracking too if these researchers could have figured out a way to do it. Health studies are important to get to the bottom of what may be causing premature births, and as mothers, we want to know what these risks are so that we can protect our children. But when a study finds rates at or below the national average closest to natural gas wells, yet garners headlines proclaiming harm, it’s worth asking some questions. Thankfully, one doesn’t need to dig too deep into this latest study to find the answers. In this case, the answer you find is that the study is poorly done.